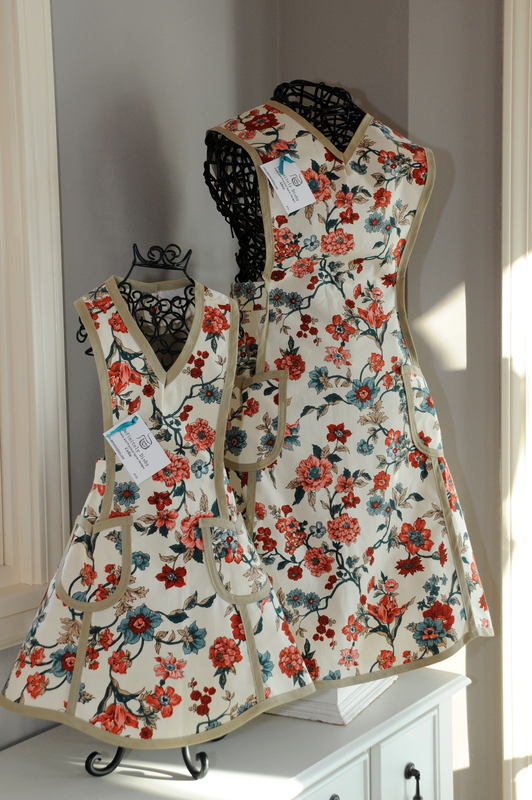 A nostalgic vintage style, reminiscent of Grandma or a favorite aunt. 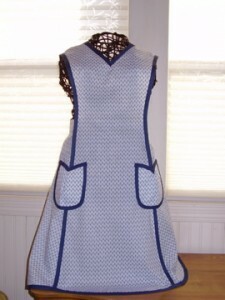 V-neck with velcro closure, full skirt sweeps all the way around to the back tie closures. 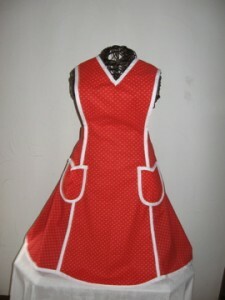 This is a style that ladies in the 50’s might have put on over her day dress to serve dinner! 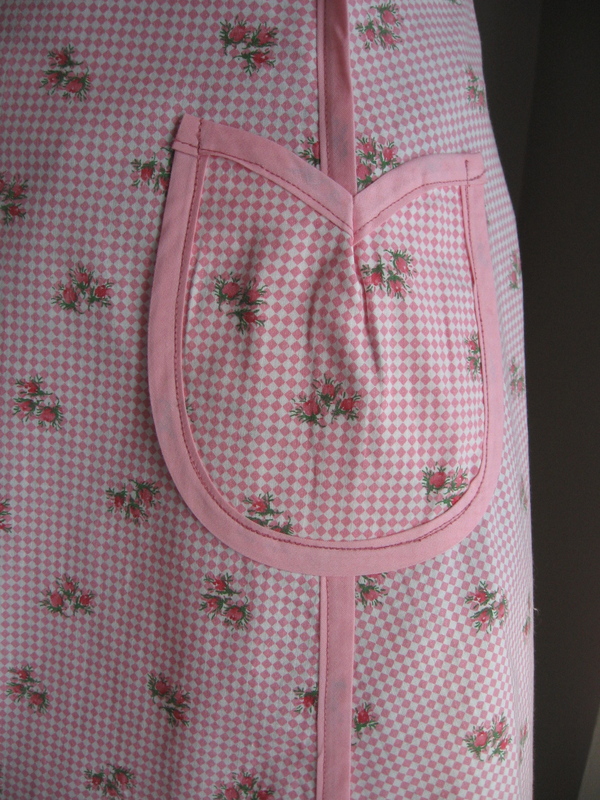 Notice the cute pocket detail! 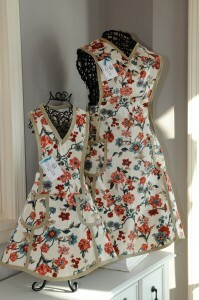 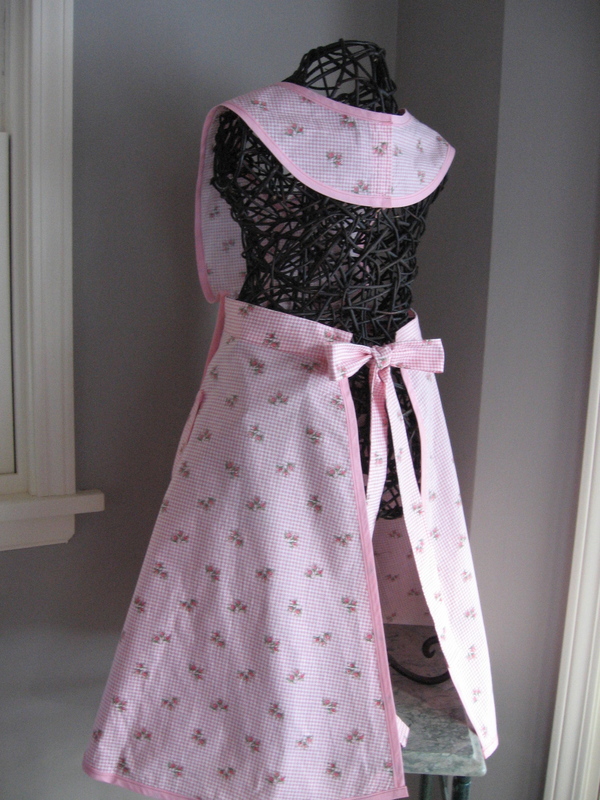 The Celia children’s apron style is an exact match.